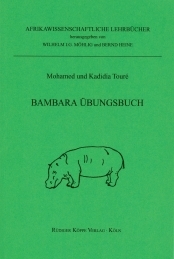 Author: Raimund Kastenholz, Mohamed Touré, Kadidia Touré. Series edited by: Wilhelm J.G. Möhlig, Bernd Heine. The lessons are divided into a grammatical part, the vocabulary and an exercise and translation part. 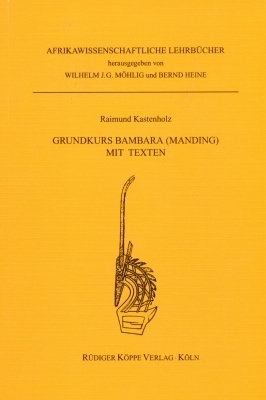 An appendix with Bambara texts and an index of the vocabulary encourage independent reading. In combination with the exercise book and the reading book Bambara, this course is primarily intended for language instruction at universities, but it is equally suitable for self-instruction.